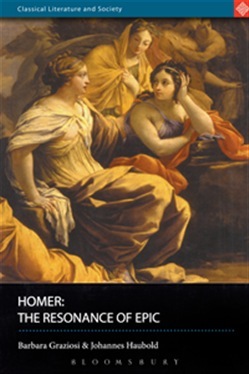 This book offers a new approach to the study of Homeric epic by combining ancient Greek perceptions of Homer with up-to-date scholarship on traditional poetry. Part I argues that, in the archaic period, the Greeks saw the lliad and Odyssey neither as literary works in the modern sense nor as the products of oral poetry. Instead, they regarded them as belonging to a much wider history of the divine cosmos, whose structures and themes are reflected in the resonant patterns of Homer's traditional language and narrative techniques. Part II illustrates this claim by looking at some central aspects of the Homeric poems: the gods and fate, gender and society, death, fame and poetry. Each section shows how the patterns and preoccupations of Homeric storytelling reflect a historical vision that encompasses the making of the universe, from its beginnings when Heaven mated with Earth, to the present day. Acquista Homer in Epub: dopo aver letto l’ebook Homer di Barbara Graziosi, Johannes Haubold ti invitiamo a lasciarci una Recensione qui sotto: sarà utile agli utenti che non abbiano ancora letto questo libro e che vogliano avere delle opinioni altrui. L’opinione su di un libro è molto soggettiva e per questo leggere eventuali recensioni negative non ci dovrà frenare dall’acquisto, anzi dovrà spingerci ad acquistare il libro in fretta per poter dire la nostra ed eventualmente smentire quanto commentato da altri, contribuendo ad arricchire più possibile i commenti e dare sempre più spunti di confronto al pubblico online.